BAFFIN ISLAND, NU.-As expected, narwhal skin is very chewy. The traditional Inuit meal of frozen, uncooked sea-mammal skin and blubber is tough, salty, creamy and unlike anything I’ve ever tasted. Adventure Canada, a family-owned, Port Credit, Ont.-based travel company, has spent 30 years building relationships throughout the Arctic and hiring Inuit guides and culturalists, allowing them to take travelers to places not many outsiders have seen — and taste things not usually on the menu. “I think it is very important for Southerners to come up here and be educated,” says Lois Suluk, an Adventure Canada culturalist and throat singer who’s performed for the Queen and at the 2010 Winter Olympics. Onboard, she’s joined by a fleet of other experts in their field — from ornithologists and archeologist to botanists and historians — all of whom are here to enrich daily experiences and help interpret the Arctic landscape. In one lecture, Spitzer teaches that Nunavut holds 21 per cent of Canada’s landmass, has 114,000 km of coastline, and that caribou outnumber residents 25 to one. His enthusiasm about the region’s past, and its future, is contagious. 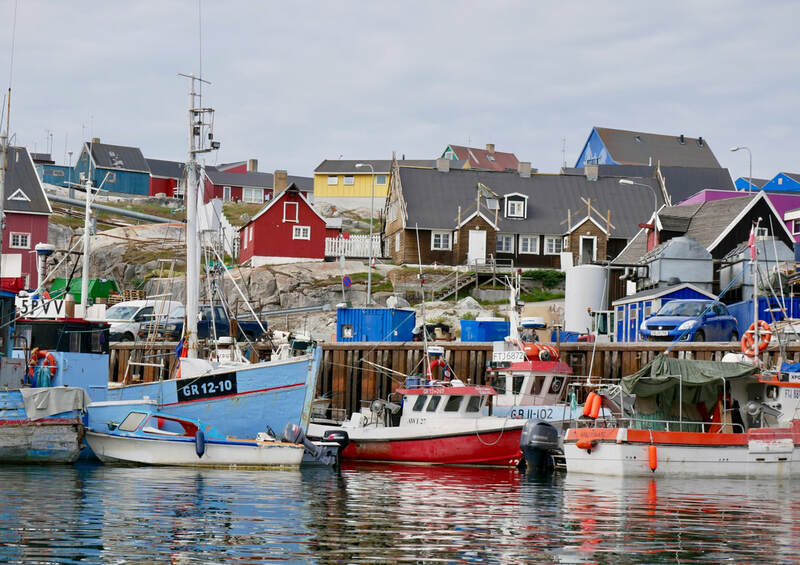 But life on the ship itself is also a draw: the meals are varied and delicious, the cabins are clean and comfy, the saunas delightful after a cold day exploring onshore, and the outdoor heated salt-water pool healing. Plus, since it was made to maneuver in hard-to-reach places, the Ocean Endeavour can go where other ships can’t — such as right up next to an ice float where a polar bear is sunbathing.